* Linetec’s online “Select and Spec” tool allows visitors to browse color palettes and order painted aluminum samples. Organized into eight color families with interactive “chips,” the user clicks on a chip to see a larger image and order up to five samples. These 3.5-by-2-inch painted metal samples are mailed to the contact information provided by the user. Each sample is labeled with an “LT” paint code for reference when specifying the finish for future architectural projects. * As a registered American Institute of Architects’ Continuing Education System (AIA/CES) provider, Linetec offers “Introduction to Coatings: Field Performance and the Application Process” and “Choosing Sustainable Finishes.” Participants can earn 2.0 Learning Units (LUs) for successfully completing both courses. These programs are available as either an in-person presentation or as a self-guided online course. 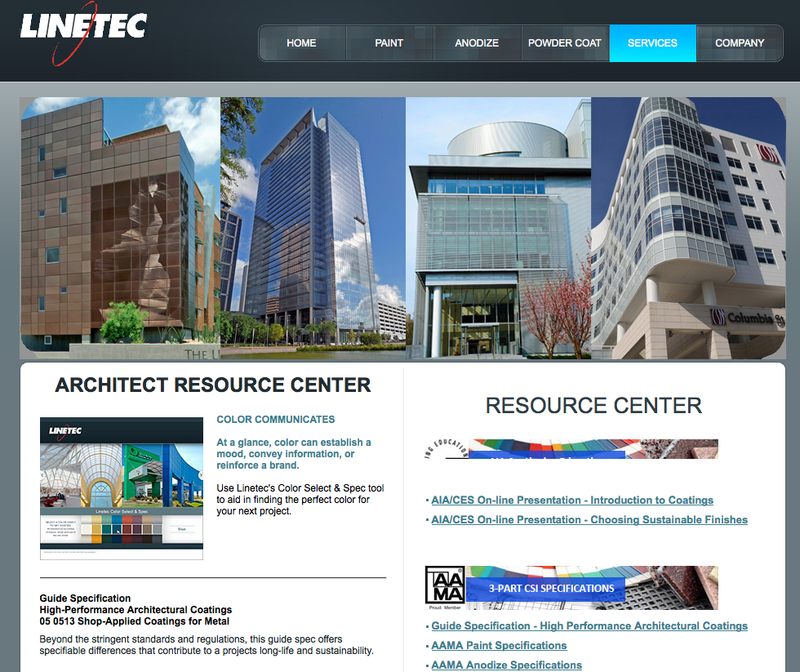 - Subscribe to Linetec’s educational newsletter received by 15,000 architects. “Fitting into architects’ busy schedules, these resources, self-guided programs and tools are available at their convenience 24 hours per day, 365 days per year. And, the content remains online for sharing and future reference by all,” said Linetec’s senior marketing specialist, Tammy Schroeder, LEED® Green Associate.